Unique Environmental Landscapes owner and founder, Todd Guilmette, always loved to get dirty, and he came by it naturally. In fact, his creativity and intimate understanding of plants, design and environment was honed at the hip of his mom and grandmother, both of whom were master gardeners. European use of space also intrigued the young gardener. For example, in Germany, he learned creative ways to maximize the use of minimal space, viewing amazing gardens and landscapes in or around multifamily properties, townhomes, brownstones, village centers and apartments. He learned an important lesson early: it’s not the size of the space that is important, but the quality of the design. He applies this concept quite often in small spaces that he designs today. With houses getting larger and yards getting smaller, it’s a common request for landscape designers in the Atlanta area. That design process has been honed over more than 25 years of design, installation and maintenance of amazing landscapes in the Atlanta metro area. 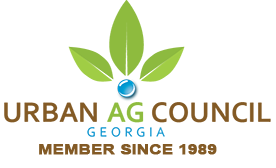 Homeowners, HOAs and commercial or business owners benefit from Unique Environmental Landscape’s experienced staff. Yes, at Unique Environmental Landscapes you receive more than just a design. It’s truly an expert collaboration of art and nature married to function. 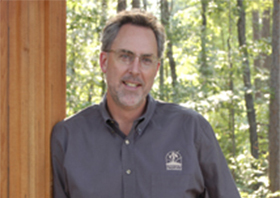 For more information about Todd, the design process or to request a consultation, contact the landscape and maintenance professionals at Unique Environmental today. Your summer and fall design inspiration starts right here at Unique Environmental Landscapes. Our booth at the 2014 Atlanta Home and Garden Show was wildly successful and hundreds of people from Marietta, Kennesaw, Decatur, Atlanta, Douglasville, Vinings and everywhere in between stopped by to say hi and to “ooooo” and “ahhhhh” over the gorgeous landscape. You can have this, too! Give us a call after you are inspired. 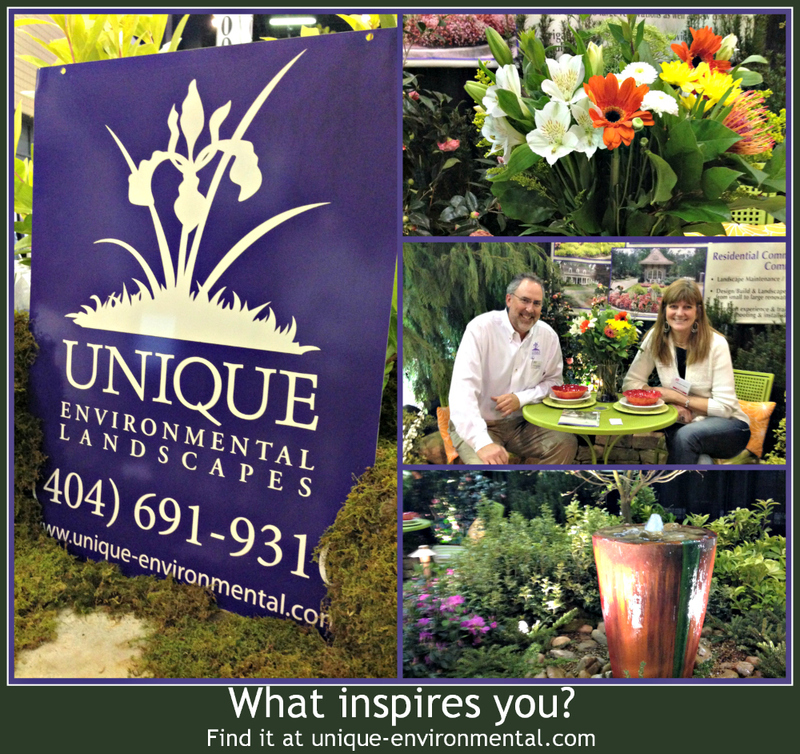 2014 Atlanta Homeshow Showcased Our Landscape Designs – See the pic! Todd has pulled together yet another grouping of seasonal color combinations to keep your business or home looking fabulous. Fresh color combinations can turn any area, whether home or business, into a showplace, creating a welcoming atmosphere and setting the stage for your visitors, family, customers, residents or employees to enjoy the outdoors. This week, our custom Atlanta landscape color combination is vibrant with reds and yellows and is suitable for the full, hot Atlanta sun. 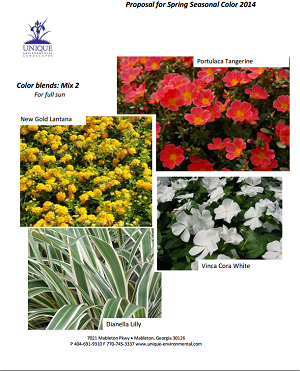 (Click on the image for a larger view of the custom PDF) You may also check out our page on seasonal color for more information. If you are ready to turn over the design, installation and maintenance of your business, POA, HOA or outdoor living area to inspired Atlanta designers, contact us today. We’re ready to help your dreams come true and to save you valuable time. Unique Environmental Landscapes is pleased to provide some insight into how they create such gorgeous landscapes, who is behind the designs, and what makes them different. Going forward, the Atlanta landscape design company will also provide short, informative videos to help commercial and residential clients learn more about various landscape elements. Today’s video is a brief introduction to Todd Guilemette, the primary designer and President at Unique Environmental Landscapes. 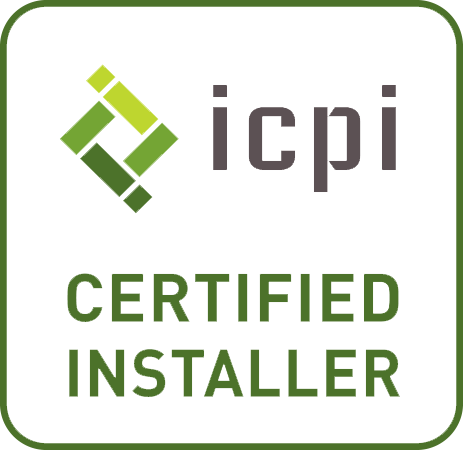 If you’d like to learn more about how they serve the Atlanta market with only the best in design, installation and maintenance, contact them today. Does your landscape needs some interest this winter? Try incorporating in these two shrubs and an evergreen perennial into your woodland landscape plantings. Daphne odora is a classic southern fragrance. Every southern landscape needs Daphne odora to welcome in the fragrance of winter. 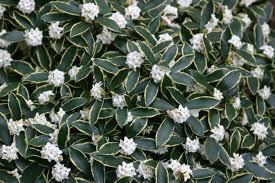 This evergreen flowering shrub creates a unique feature to your winter landscape, flowering from late January to early March, depending on weather conditions. Its fragrance summons the thoughts of what spring will be. Daphne is a great plant for a woodland or shade garden, growing only 3 to 4 feet tall on maturity. Mixed in with plantings of hostas and other later spring blooming perennials, it creates a great seasonal mix for your pathways and woodland garden. Need a winter flowering fragrant shrub for your landscape? Think of planting Edgeworthia (Paper Bush) shrub. Edgeworthia flowers in the winter months and is a great woodland plant for your landscape. Mix them in with evergreen ferns or heuchera to create nice woodland plantings that are seasonally interesting. Upside down tulip? No, it’s Hellebores. Sometimes that’s what Hellebores (Japanese lantern) look like when they bloom. 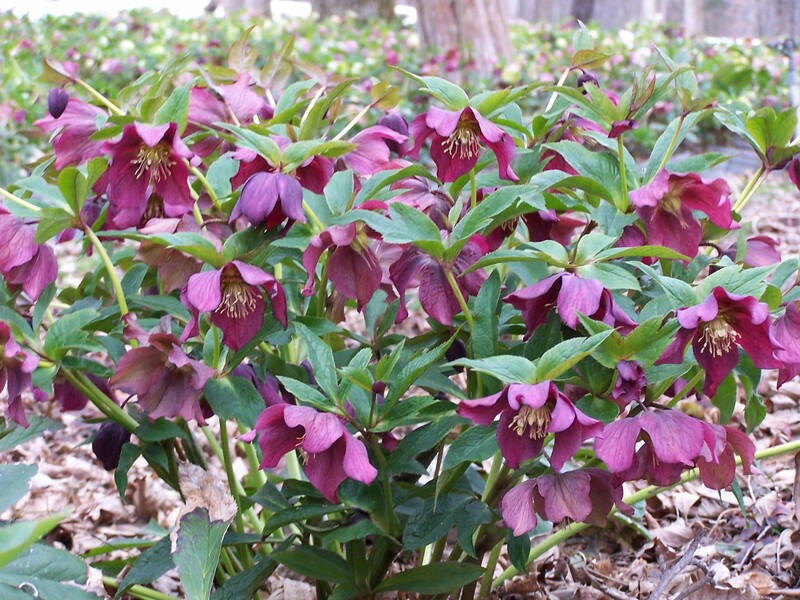 This winter blooming perennial is quite interesting for a woodland garden landscape. The blooms with shades of pink to white make up the color array of this hardy evergreen perennial. Incorporating again Hosta, evergreen ferns and Heuchera along with other early spring and summery perennials creates a long-lasting array of seasonal interest in your landscape. Christmas trees can go to good use after the holidays? Re-decorate the tree with treats for wild birds. Leave the tree in its stand or stand it in a large planter with rocks or sand to steady it. Put it on a deck, porch or patio and decorate it with orange halves, pine cones slathered with peanut butter, suet cakes and small bird feeders. The tree can also gives shelter to small birds on those cold winter evenings. Once the tree has dried up and turned copper, it makes great kindling for your outdoor fire pit. Remember, it’s not recommended to use your cut up Christmas tree in the house fireplace, as the pine pitch can become a problem in the chimney long-term. Unique Environmental Landscapes will be presented with two Distinction Awards at the annual Urban Ag Council Awards Dinner this evening at the Gwinnett Center. The awards are both for residential landscape design/install projects completed by Unique. 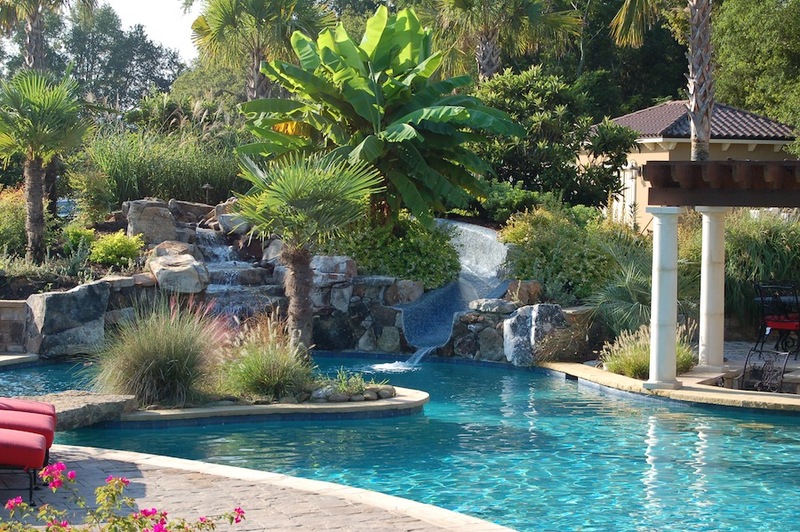 The first project in the ‘over $150k’ category is in Millen, Georgia where the client requested a tropical resort in their backyard. The other project in the ’75k – $150k’ category, is located in Kennesaw, Georgia. Please visit the Urban Ag website for a complete listing of all winners http://www.urbanagcouncil.com. A Washington Hawthorn is an excellent ornamental tree that will bring spring color and winter brilliance to your landscape. The Washington Hawthorn is a mid-size tree that bears white flowers in the spring and boasts beautiful red berries throughout the fall and early winter months. Unique Environmental Landscapes chooses this tree for many Atlanta landscapes. Our clients love it. If you follow our blog, you have noticed Unique is trying to encourage our readers to get moving on their landscape! If you’re not a do-it-yourself type, by all means call Unique Environmental Landscapes and allow our professional, experienced designer and crews do ALL the work for you. 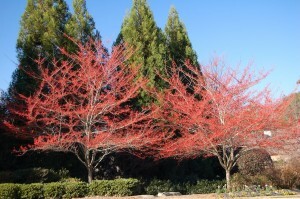 Here are three more of our suggestions for adding color to your winter landscape in the Atlanta/Georgia region. 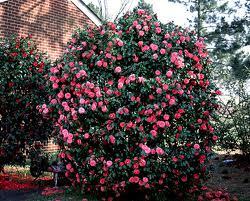 Sasanqua Camelia (blooms Oct- Dec) or Japonica Camellia (blooms Feb-Mar) are both a staple of southern gardens. Camellias (camellias) are evergreen shrubs and are available in a variety of ‘blooming’ colors including bright pinks, white as well as bicolor. 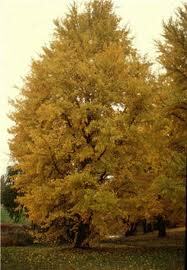 They are happy in shady or filtered sun and prefer a well draining and rich soil. Winter Daphne is also a winter blooming shrub and is available with choices of a variety of shades of pink flower that open to white. The foliage is edged with a thin strip of yellow, providing a nice contrast on the green leaf. They bloom through winter and into spring in the South – one of Unique Environmental’s favorites. Winter Daphne (Daphne odora ‘Marginata’) prefers full sun/part shade in a nutrient-rich and minimally acidic to alkaline soil. 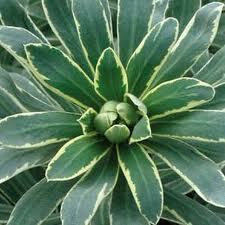 An excellent evergreen perennial choice is Euphorbia. The ‘Glacier Blue’ variety blooms cream flowers Feb – May and the evergreen leaves of blue-grey with creamy white edges make it a garden standout. One of Unique’s favorite characteristics of Glacier Blue is that it’s deer & rabbit resistant, a feature many gardeners will appreciate. Careful though, it is toxic if eaten!! It’s also drought tolerant. Euphorbia x martini ‘Ascot Rainbow’ is another variety with similar characteristics except these differences including foliage and blooms. The stems are reddish in color and the leaves are variegated colors of dusky sage and gold with cream and green flowers (tipped with deep red in fall.) The Ascot Rainbow prefers full to part shade. Fall is the perfect time to add plant material to your existing landscape or to plan a compete landscape makeover in your yard. Whichever the case may be, Unique Environmental Landscapes has a few plant suggestions for the Atlanta and Northern Georgia region. It just so happens that three of the plants Unique will be using this fall are also University of Georgia (UGA) Gold Medal Plant winners for 2012. The first, and one of Unique’s favorite, is the Red Bark Coral Maple. One of it’s most outstanding characteristics is the vivid red-coral color the branches turn during the winter. Because it is a deciduous tree, the branches become a focal point in the winter garden, shine a little light on this beauty after dark and add drama to your nighttime landscape (see photo below.) In the spring, the new leaves don red edges adding another cool characteristic to the Coral Bark Maple. Then there is the fall splendor with yellow-gold and red colors. Another one of Unique’s favorite is the Rabbiteye Blueberry (or Southern Highbush Blueberry.) You will notice this plant at this time of year for it’s beautiful fall foliage color, a deep red. Of course, the blueberries we harvested over the summer are a tasty reason to love this deciduous shrub, too. Next spring, this native blueberry bush won’t disappoint either with it’s incredible cream colored blooms almost like that of Lily of the Valley. Even though plant selection might be limited in the fall, it is the very best time of year to plant a blueberry shrub, it will love a rainy winter. Be sure to purchase at least three plants including two or more varieties for cross-pollination purposes. If Mother Nature doesn’t cooperate, be sure to keep the soil moist. A good layer of mulch at the base always helps retain moisture…a must for best blooming and berry harvesting! If your landscape project includes adding to your perennial garden, try Coral Bells (Heuchera) in a part-to full-shade garden. It looks best when planted next to the fine textures of plants such as bleeding hearts and ferns. It also looks great around smooth creek rock or garden statues. This perennial adds year round color, though older and tired leaves should be trimmed off before the new spring growth. All three of the plants listed here tolerate drought conditions fairly well. Though it’s always important to remember, newly planted material requires sufficient watering for the first year especially. And of course, there aren’t really any plants in the south that don’t need a good drink of water occasionally!! 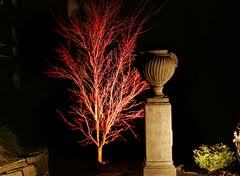 Coral Bark Maple is a night time show piece!